Traditional Appalachian cooking is the epitome of slow food. A cast iron skillet was only properly seasoned after years of use. Moonshine took months to make, starting with the planting of corn in the spring. Cooking down apple butter, rendering lard and canning produce took all day long. Even the daily fare of homemade bread, simmering soup beans and cooked greens took hours. Where has the time gone? Now we eat fast food in the car driving 60 miles an hour. We stand and mentally hurry along the microwave as it heats our frozen dinners. We consume instant mashed potatoes, instant rice and instant coffee. I mean really, what’s the rush? A return to slowing down again and truly savoring food may seem pretty unglamorous but it is a trend quietly sweeping the world. In 1986 the Slow Food movement was founded in direct response to the opening of a McDonald’s restaurant in Rome’s famous Piazza di Spagna. This organization is dedicated to preserving and supporting traditional ways of growing, producing and preparing food. Their manifesto declares that “a firm defense of quiet material pleasure is the only way to oppose the universal folly of Fast Life.” The American branch of Slow Food was launched in 1998 and the movement continues to gain interest worldwide by people who care about preserving the traditional foodways in their communities. 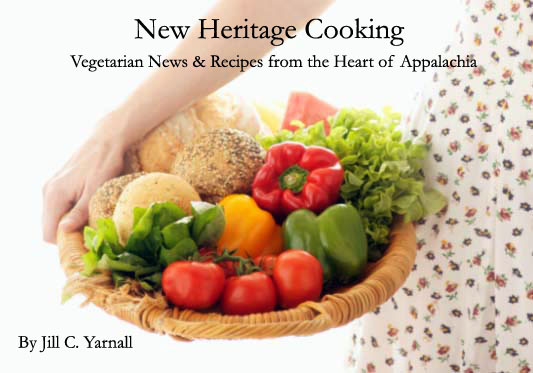 We can embrace Appalachian slow food by choosing locally grown, seasonal food. Perhaps we could commit to a day a month or even a day each week to slow down, to carefully choose the food and consciously prepare it. Why not involve the whole family in the process or share this delicious food with friends? We might discover that the food tastes better and that we feel nourished and satisfied on many different levels. And that is something that no fast food meal or microwave dinner could ever offer. Who knows? This might just turn into a revolution, one bite at a time. To learn more about Slow Food, click on www.slowfood.com. To learn more about Slow Food USA, click on www.slowfoodusa.org/. Both my grandmother and my mother won notoriety at the county fair with this superior bread recipe (I’ve modified it slightly). After winning a blue ribbon, my grandmother was featured in a yeast ad and around a decade later, my mother was named best cook in the county. It’s slow food at it’s best. 1. In a small bowl, combine water and yeast. Set aside to activate, about 5 minutes. 2. In a large bowl, combine butter, sugar, egg, and salt. Add yeast mixture. 3. Add flour until just stiff – trust your judgement and intuition but it will take around 4 cups. Knead until springy and elastic, about 5 minutes. 4. Lightly grease a large bowl, turn dough into it, cover with a dish towel, and let rise in a warm, dry place until double in bulk, about 2 hours. 5. Punch down, knead, and let rise again, about 1 hour. 6. Lightly grease a baking sheet. Set aside. 7. Knead and form into rounded, sandwich-size rolls. Lay out on prepared baking sheet. Cover and let rise final time, about 30 minutes. 9. Bake in hot oven for about 20 minutes or until golden. Great Post. This article helped me a lot about know what do follow really means. Thanks for the info. Good day clever points.. now why did not i consider these? Off subject slightly, is this web page sample merely from an peculiar installation or else do you utilize a personalized template. I use a webpage i’m looking for to improve and nicely the visuals is likely one of the key things to complete on my list. "This is a excellent website to stayed on .I just came upon your useful weblog and desired to say that I have really experienced studying your websites. I will be your regular guest, that is for sure."